Burberry is a brand with a strong heritage and a modern approach to digital marketing. This combination has given the brand a distinct competitive advantage in the fashion industry. Burberry was founded in 1856 by Thomas Burberry in Basingstoke, Hampshire, England. Burberry is most famous for its trench coat which was designed by its founder Thomas Burberry. Its distinctive tartan pattern is one of the most widely copied trademarks in the world. By the mid to late 1990’s, Burberry had come to be seen as tired, stodgy brand that put its signature checkered print on far too many items. In 2001, Christopher Bailey joined the company as creative director. Bailey is credited with leading a turnaround of the Burberry Brand through product design and digital marketing. Burberry has reinvented itself as one of the most forward-thinking fashion marketers in the world. Burberry has seamlessly integrated digital into everything that it does. Digital is not an afterthought its the way Burberry conducts business today. Its digital focus has differentiated the brand and moved it ahead of its fashion competitors. In 2009, it was one of the first fashion houses to live-stream a runway show. It’s also been known to tweet images of a new collection before a show, effectively giving its Twitter followers a glance at the line before front-row celebrities and high-powered editors get one. The commitment to social media has changed its production schedule. Burberry is one of the few brands that allows consumers to buy clothes immediately after models walk down the runway in them. Efforts such as “Art of the Trench,” which features consumers wearing the iconic trench coat, and “Burberry Acoustic,” which features collaborations with British musicians, are examples of how Burberry integrates digital. The brand is not afraid to experiment with new ideas. 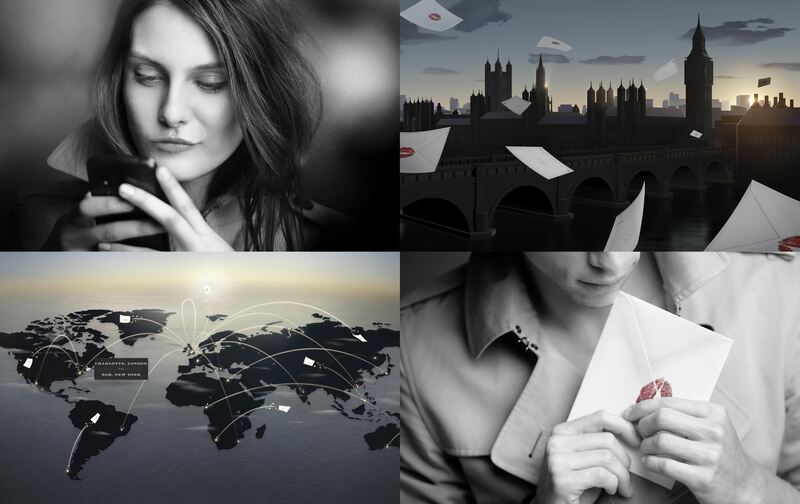 The latest is “Burberry Kisses”, developed in partnership with Google, which lets users capture a print of their kiss on a smart phone or webcam and send it in a digital letter to the object of their affection. Burberry does an excellent job melding the digital and physical world. Burberry has 16.1 million Facebook fans and 2.1 million followers on Twitter and other impressive social media stats. Luxury Fashion Brands downplayed the internet in the beginning, believing it would cheapen their image, Burberry is now seeing its fastest growth in online sales as it embraces social media and blurs the boundary between its physical stores and the digital world. Can you think of another heritage brand that has successfully embraced the digital world?